1. Decide how many children you would like to adopt for Christmas. 2. You will receive the child’s first name only, age, gender, sizes, want and wish list. (For safety reasons you will not get to see or meet the child or children). 3. You go shopping! Each gift must be wrapped with the child’s name on the gift along with a dedicated number identifying the client, and that will be provided when you get the child’s wish list. 4. All gifts must be turned in by Monday, Dec. 17 by 4 p.m. the very latest. 5. A private Christmas party is held the same week for the children and they receive their gifts, along with meeting Santa. Please call Shawnene Heather at 830-569-2001 or email her at outreach@saferpathfvs.org if you are still interested and want to adopt. The annual ACCEPT toy and food drive is underway, helping Atascosa County families in need. In Pleasanton, Dec. 3-Dec. 8, First Baptist Youth Building, 311 Smith St. from 9 a.m. to 12 noon. 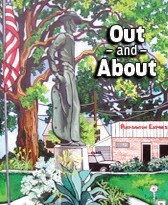 In Jourdanton, Dec. 7-Dec. 8 at First Baptist Church, Hwy. 16 (corner of Peach and Campbell) from 9 a.m. to 12 noon. In Poteet, Dec. 8 only at the Poteet Fire Station from 9 a.m. to 12 noon. The annual ACCEPT program covers Atascosa County for the very poorest of our families and elderly who would likely have great need at Christmas without us, so that’s where you come in. If you have funds, toys or wrapping paper, tape, batteries, etc., please call Jeanne Ulrich or bring by any of these items at St. Andrew’s Parish Hall after 3 p.m. on Sunday, Dec. 2- Wednesday, Dec. 5 from 9 a.m. to 6 p.m. Contact numbers for Jeanne Ulrich and the ACCEPT Committee are 210-724-1668 and 830- 569-5301. The Pleasanton Police Department is preparing for their 2018 Blue Santa program. This program assists with toy donations for families needing assistance, for children age 16 and younger. Please join the Pleasanton Library, for a book signing with Pleasanton Police Chief Ronald Sanchez, Officer Jessi Chia and other law enforcement officers featured in “Behind the Texas Badge” by Doug and Carol Hutchinson. Please join Pleasanton ISD for a free training open to the community. Dares, Drugs and Dangerous Teen Trends will be presented this Thursday, Dec. 6, from 6:30– 8 p.m. at the PISD Training Center, 1280 Jolly St., next door to Junior High School. Presentation by Larry Rodriguez, Region 20 School Safety Consultant. The event is sponsored by Community In Schools – Juanita Ramos – CIS Pleasanton Primary Site Coordinator and PISD Title 1. Are you really in the know about drugs, dares, and dangerous technology trends? This training is designed to increase drug, alcohol, and technology awareness for all members of the school community. Parents attending this training will learn the latest trends as well as dangerous apps and technology affecting the school community. For information contact Diane Garza, 830-569- 1230 or email dlgarza@ pisd. The Pleasanton Sixth Grade Band Christmas Concert is set for Dec. 6 at 6:30 p.m. It will be held at the Doug Williamson Performing Arts Center. The 6th annual Vintage in Verdi is this Friday and Saturday, Dec. 7 and 8. Hours will be 1 to 8 p.m. on Dec. 7 and 9 a.m. to 3 p.m. on Dec. 8 at 2900 FM 1784. The event will feature over 90 vendors. Their vendors carry a wide variety of goods from vintage, antiques, home décor, boutique clothing and accessories, fresh baked goods and much more! 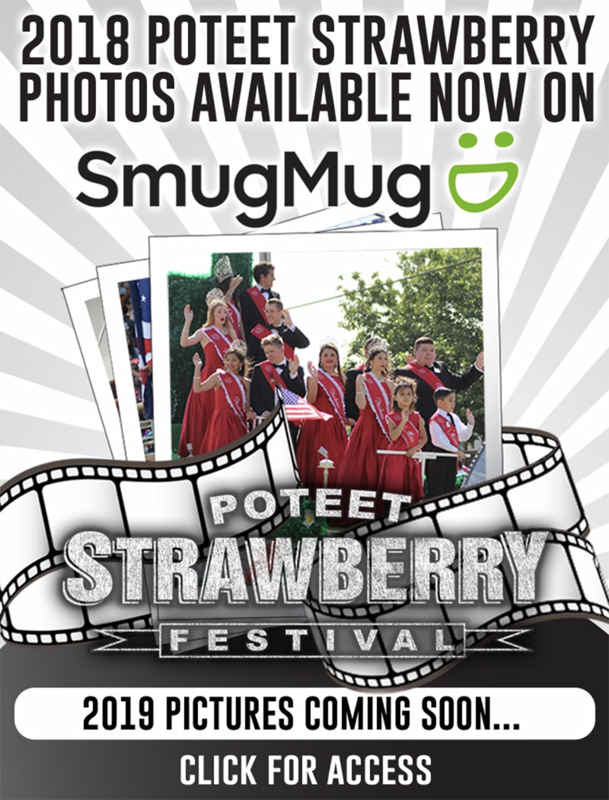 Children of all ages are invited to come and take their photo with Green Santa; those 2 to 12 years of ages will receive a special gift that keeps on giving on Saturday, Dec. 8, from 10 a.m. to 12 noon at the Poteet Farmer’s Market in the red barn at the Strawberry Festival grounds on Highway 16 in Poteet. The event is sponsored by the Rotary Club of Poteet. To help the little gardeners along, the Rotary Club will publish tips and advice on the Poteet Farmer’s Market Facebook page and have gardening seminars for parents and children. Santa is coming to Methodist Hospital South on Saturday, Dec. 8 from 10 a.m. to 1 p.m. Families are invited to this free community event. New and unwrapped toy donations will be greatly appreciated to deliver to the children of CASA, Children’s Alliance of South Texas and Safer Path of Atascosa County. Photos will not be provided by Methodist Hospital South. Please bring your own camera. They will also have hot chocolate and cookies and a crafts station to enjoy. For questions, please call 830- 769-3515. Ho! Ho! Ho! Santa is coming to St. Matthew Catholic Church in Jourdanton on Sunday, Dec. 9. Concert is scheduled for Dec. 10 at 7 p.m at the Doug Williamson Performing Arts Center. Have a holly, jolly Christmas with New Haven Assisted Living and Memory Care of Floresville. Please come out and celebrate the most wonderful time of the year on Wednesday, Dec. 12 from 6-8 p.m.
Their Christmas Open House will feature a performance by the Wrangler Band from 6-7 p.m. and Pictures with Santa from 6:30-8 p.m. Please bring your own camera or cell phone to take your Santa pictures. Hot chocolate and cookies will be served. The event is free but we encourage you to bring an unwrapped new toy to be donated to local families for Christmas. Pleasanton businesses are encouraged to fill the streets with Christmas magic! The City of Pleasanton will hold a Small Business Accounting Workshop in partnership with H&R Block on Dec. 13, at 11:30 a.m. – 1 p.m., at the Pleasanton Civic Center. Not Just Dust will hold a public meeting on Thursday, Dec. 13 at 7 p.m. at the VFW Post 6970 in Poteet. The meeting will be held to discuss air and water pollution goals for 2019. Everyone is welcome. Not Just Dust is a non-profit organization that believes in the preservation of clean air, clean water and the proper placement of industries that have the potential to pollute our neighborhoods. On behalf of the Poteet Police Department and Poteet Police Association, it is that time of the year again. Blue Santa is coming to town on Saturday, Dec. 15! The parade will start at 6 p.m. ending at Poteet Canyon Park at 7 p.m. and Blue Santa will start giving gifts to local children. The Santa Run is scheduled for 5 p.m. on Saturday, Dec. 15, as part of the Merry on Main event in Pleasanton. Early entries cost $20 and will receive a T-shirt. The deadline to register is Wednesday, Dec. 12. You can register through the Merry on Main Facebook event or call the Pleasanton Parks and Recreation Department at 830-569- 5904. To run, please arrive at the Pleasanton Town Square Stage in front of the Civic Center no later than 4:45 p.m. on Saturday, Dec. 15. Santa suits are encouraged. The run will continue north on Main Street and will make the small loop around Adams, Reed and Hunt streets. Participants can run for free, but will not receive a shirt if they are not registered by Dec. 12. Participants are wanted! Decorate your kids’ bicycles, tricycles, and wagons to parade down Main Street, as part of the Merry on Main festivities. The parade begins at 12:30 p.m. on Saturday, Dec 15. To enter, arrive at the Pleasanton Town Square Stage in front of the Civic Center no later than 12:15 p.m. to line up. The parade will run to the Kids Carnival in The Pleasanton Woman’s Club yard. Trophies will be awarded to the best entry in each category. Merry on Main Street in Pleasanton is just around the corner! This year there will be two dates filled with fun for the whole family! This two-day event begins Friday night, Dec. 14 with free family fun featuring an ice slide and food and craft booths. There will also be a free concert featuring the Most Wanted Band. Saturday morning, Dec. 15 begins with a free movie screening of “Home Alone” at 10 a.m. at the Plestex 4 Theater followed by the Plestex Kids Zone at 12 noon at the Plestex parking lot. Along with food and craft booths, the schedule includes Christmas caroling from 12 p.m. to 6 p.m. by local churches and the Wheels and Wagons Parade at 12:30 p.m.
Entertainment will continue from 1-3 p.m. with performances by Ms. Tera’s Tap N Toes, Tae Kwon Do and a Pooch Parade. The Old-Fashioned Kids Carnival with a Cup Cake Walk is set for 1 p.m. to 5 p.m. Get the little ones ready for Pictures with Santa from 2 p.m. to 4 p.m.
Bakers in the Cookie Contest can turn in their entries in the afternoon at the Merry on Main tent next to Nest Feathers. At 4 p.m. entries will be announced in the Business Light Decorating Contest. The Santa Run will take place at 5 p.m. and the fireworks will fill the nighttime sky starting at 6:45 p.m. The Merry On Main Lighted Night Parade will kick-off with the fireworks show. There will also be appearances by The Grinch, Frosty the Snowman, Santa Claus, Blue Santa and much more. This event is presented by The City of Pleasanton with the Chamber of Commerce, Pleasanton Express, KSAQ and downtown businesses Cece’s and Plestex, Nest Feathers, The Woman’s Club of Pleasanton, Temper Services and Threads. Those interested in being a vendor can call 830-569-5904 or 830- 569-2163. The Merry on Main Lighted Night Parade will light up the streets of Pleasanton on Saturday, Dec. 15. It is scheduled to kick off with the fireworks show at 6:45 p.m. Parade entries need to be submitted to the Pleasanton Chamber of Commerce by Wednesday, Dec. 12.